International Happiness Day - Songs! ESE Direct > Articles > International Happiness Day - Songs! 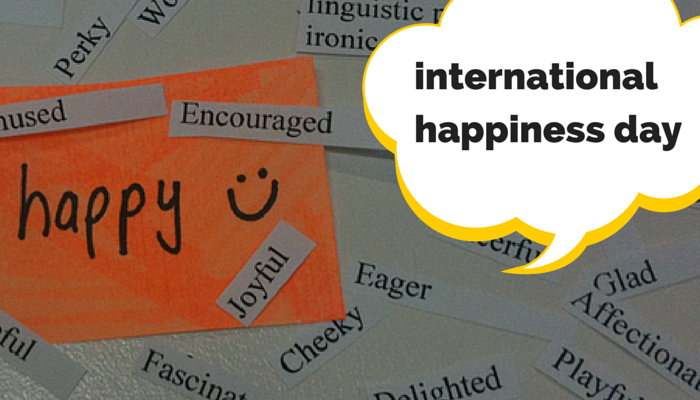 In case you didn’t know today is international day of happiness! BBC Radio 1 are playing a list of everyone’s happy songs, so we thought we’d do the same. It reminds her of being on holiday and somewhere hot, and it is always on her holiday playlist. When I used to walk into work it was to this, great way to start the day. Because it has the word Serengeti in it. Julie said that any song she can sing-a-long badly to made her happy! She also cited YMCA and Happy by Pharrell Williams as well, she loves her music does Debs. Because it reminds her of when she was little jumping around listening to it. Kelly chose this song as it reminds her of Boomtown Festival. Just a feel good track. If you like the sound of the above, we have actually created an ESE Direct Spotify Playlist to lift your spirits!